There are currently about 700,000 foreign students studying at U.S. universities. Some of them are among the world’s best and brightest; many of them are not. A high percentage of foreign students remain in the United States after graduation to compete for jobs, despite the fact that this technically violates the terms of their student visa. That is yet another example of immigration law that has been circumvented administratively, in this case by the creation of Optional Practical Training (OPT), which allows foreign graduates to work in the United States for up to 29 months while they apply for a guest worker program or a green card. Sen. Rubio’s bill will bring in hundreds of thousands more tech workers to add to an already overabundant supply of competing workers, at the same time it amnesties millions of low-skill illegal aliens and dramatically increases legal immigration. This is a solution only a D.C. politician could dream up; and one that can only be defended by misrepresentation. After educating the world’s brightest and most innovative minds, we will no longer send them home to benefit competing economies like China and India; we will instead staple green cards to their diplomas. We will also expand the highly skilled H1-B visa program from 65,000 to 110,000 to fill jobs Americans can’t do. To accomplish the move to a more merit-based immigration system, we eliminate certain categories of family preferences that have allowed for chain migration and completely eliminate the diversity visa lottery, among other reforms. Sen. Rubio’s bill will bring in hundreds of thousands of tech workers to add to an already overabundant supply of competing workers, at the same time it amnesties millions of low-skill illegal aliens and dramatically increases legal immigration. Sen. Rubio is bragging about wanting to immediately raise the annual admissions of tech workers by 70 percent, and by almost 180 percent in a few years’ time. The endless refrain about foreign students being the “best and brightest” is simply not true, and it denigrates American students who truly are the most outstanding in the world. Native-born students consistently outperform their foreign counterparts at university and in the workplace. The percentage of those students who stay in the U.S. after graduation is already at an all-time high. Even though foreign students have to promise to return home after graduation in order to be eligible for a student (F-1) visa, many take advantage of the ever-expanding Optional Practical Training (OPT) which allows foreign graduates to work in the U.S. for up to 29 months while they apply for a guest worker program or a green card. There is absolutely no shortage of workers in tech fields. There are many more graduates who have degrees in tech fields every year than there are jobs created in the industry. In fact, American tech workers are being driven out of the field, replaced by cheaper, and often younger, foreign workers. FAIR’s own study on STEM (science, technology, engineering, and mathematics) workers points out that there is an oversupply of STEM graduates every year. Two-thirds of STEM graduates are not working in fields directly related to their degree because there are too few jobs available to them, with many jobs being given to foreign STEM graduates or H-1B guest workers. Sen. Rubio relies on talking points provided by Microsoft and other tech companies that have been thoroughly discredited by the Economic Policy Institute. The bill also expands and creates new avenues for admission, for example, allowing an unlimited number of visas for spouses and children of green card holders, and permitting immigrants to sponsor their adult children. 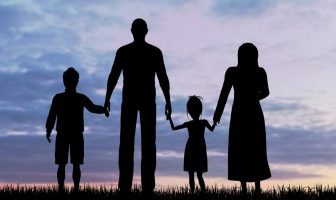 Unmarried children of green card holders can be sponsored regardless of age, and married sons or daughters can be sponsored up to the age of 31. Of course, these married adult children will bring their spouses and own children with them. What I can’t understand about the illegal aliens problem is why there’s even a discussion about it. I should think that anyone with simple, entry-level common sense would be saying: “What? These criminals sneaked across our borders, breaking our law and costing us a bunch of money and you propose to reward them with American citizenship? Are you *!/@#^& crazy?”. As a professor at a research university I have observed that a great many of the foreign undergrads are Chinese students with a limited ability to read English and almost no ability to understand spoken English. They are somehow passing the TOEFL (Test of English as a foreign language) when they should not. Some of these kids are very hardworking and conscientious, but a disturbing number of them make up for their shortcomings by cheating. my son recently graduated from a california state university. their residency requirements for OUT of STATE students is 3 years of financial independence from parents. this means a US Citizen must live in California for 3 years with no parental support before they are granted residency status at the csu system. a non-resident foreign citizen need only attend a california high school for 3 years before being considered a calfiornia resident by csu system. my son’s tuition as non-state resident was almost 3 times the amount of resident student. why aren’t non-residents charged foreign student tuition? well, we all know why….. I don’t think this has anything to do with immigration but has everything to do with Latinos’ becoming the majority over white people. Immigration and its open border and lax enforcement is just a means to an end. Get with the program people. It isn’t about immigration its about a means to an end. If so, then it’s only because of their refusal to assimilate. They don’t want to become American; they want to turn America into Mexico. own country instead of taking what ever they can get from our country. This entire immigration endeavor is a shame. Worker shortage in the technology fields is far less than what the politicians lead us to believe. We are overrun with people that are in this country illegally and refuse to fix the problem. Not every illegal what the politician make them out to be. Highlighting educational advantage for coming to this country is a small carrot when you look at all the other free carrots they get. We cannot sustain the financial and related cost associated for supporting these illegals. Nothing is being offered that will fix the existing system but more unfulfillable promises. I am glad to see that more and more persons are speaking out. I just don’t understand why we can’t do more for US born citizens. Why can’t t the government realize that a great many of our children have nothing to do but mettle around the neighborhood block hoping to find a job just to get them off the streets and now here comes amnesty. Then they enroll in Community College for the same course during the summer which does not require them to carry a full course of study. Our own kids can’t do the same thing because they don’t have to money to continue their education. Meanwhile, the foreign students who are granted employment authorization by the Institute continue their education and gain their degrees. Who benefits? The Institute Of Course! Only in America. Are these foreign students the ones the Honorable Senator Rubio is referring to as the best and brightest? Come on! this world is about competing. Nothing is given to us, US born Citizens are lazy and expect everything on there pale white laps. Lets start fighting back with education, the will to not give up and blame others for there downfalls. To have a mind set of starting from the bottom and rising to the top. Better said by my boy Drake haha Lets take back this country one city at a time. Illegal immigrants are not to blame, employers, and cheap wages are. I’ve worked hard since I was 10 years old…so no laziness here. I earned my first $100 babysitting and mowing lawns. I just didn’t choose to go to college – at 18 I was already supervising a department in manufacturing, and didn’t think I needed a degree. I believed that if I worked hard I’d get ahead… But that was before our government started doing this crap. 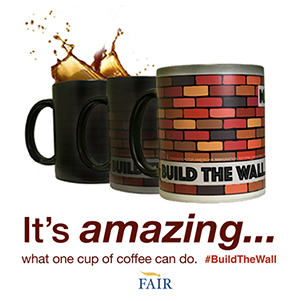 Isn’t it amazing..The illegals march and demand things of the American Taxpayer…If they had that kind of Fortitude in the country they came from they might it a better place to live so they can stop invading us. As far as the clowns in Washington. We have millions of college age kids looking for work and Rubio wants to give them even more competition. You would think that these politicians would have had enough kicks screwing the American worker when they sent millions of jobs overseas with their free trade deals. 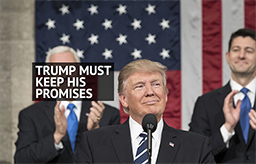 Our Government has been working against the Middle class worker and taxpayer, and they come forward with promises to push border security if we just hand amnesty out to 11 to 15 million illegals and start new and expand current visa programs. Sorry, fool me once same on you fool me twice shame on me. We don’t believe you and until you start sticking up for the American worker and taxpayer we won’t believe you or support you!! P.S. I used to have an open heart and open arms for you (illegal immigrants). You used to realize you were a “guest” in our country, invited or not. You sent money home to your wife and children, and you didn’t need to have a lot because of what American earnings could buy you in Mexico (primarily). Then you started taking things for granted. Your kids started sneaking across the border, but now they brought their wives and girlfriends with them. Think how much money you could make with 2 of you working….only, you still didn’t want your wives working, you wanted them at home, cooking, cleaning, having babies. Babies that would then “anchor” you to this country. Babies born in hospitals that we pay for, educated in schools we pay for, sometimes by higher property taxes than we can even keep up with. But do you care? No. You took your American born babies and got signed up for more free benefits, food, help with shelter and utilities. You’d rent perfectly nice homes in middle and working class neighborhoods, then have 20 people living in there, and you’d trash them. I don’t know if it was the sheer number of you that caused that, or because you didn’t have a clue about American society and etiquette. I guess it was just one more thing you could abuse. Maybe I’m wrong on this one, but I have noticed that with the increase of your population in the last 25 years, the amount of trash everywhere has increased, the amount of hit and run cases is higher, and the water quality is worse. You manage to buy nice vehicles though. I guess since that’s the only thing truly “yours” you think it’s ok to throw all your trash out on the side of the road. I also notice you get your kicks out of driving your work trucks and trailers in the fast lane of the highway, all while driving below the speed limit. Since you don’t have a license, you don’t know our driver’s instructions. We Americans have a lot of faults too, mind you, but this is OUR country. You have become the uninvited, ungrateful, unwelcome guest who never leaves. Now my arms are not open, and the respect has disappeared. If I run into you, I’ll treat you as nicely as any other human being, but know that I will be doing my best to deny any more of you any kind of access to our country and all that it entails. Repeals the Anchor baby law, you should not be a citizen if your parents were not when you were born!! Thank you for your comment. I too used to have sympathy for them, but that changed several years ago. I see the same actions from them that you wrote about and I no longer have an open heart for them as well. They take and take and give nothing in return. Yes, this generation of illegal immigrants are nothing like the “poor, hardworking people” of old. Pretty soon every government agency and corporation will have a “quota” of positions assigned for the illegals in this country. Skills, education and common know how will not matter as long as they make their “quota”. We have positions now filled with “quota” driven requirements that show a job that needs one person to do the work, has a staff of up to 5-6 people. The government MUST hire a certain number of “minorities”. This is such a convoluted pack of lies and interpretations…with Rubio and his cohorts at the forefront deciding for US what is best. I’ll tell him what’s best…..deport them. I feel extremely strong about this immigration right of passage and despise those in government who support it. Just once….live through the procedures of becoming an American legally via a relative or friend and you too, will acknowledge that something smells rotten in Washington. NO ONE WHO IS ILLEGAL HAS ANY RIGHTS. I wish I could be in attendance at the hearings and be able to voice my well grounded opinions. God save us…..
You Know, handing the illegals amnesty is a slap in the face to anyone who is trying to immigrate here legally. I think we can do better that just deport. If we start leveling heavy fines and jail time on those who hire them, and make sure that no social programs go to them, they will leave America on their own saving the taxpayer billions!! The rich people in the US, the so called job creators, are just playing the system like in the Middle East. They want a huge supply of inexperienced, naïve and indebted potential employees that they can abuse and exploit. They don’t care about the country or the economy, only the bottom line and how much money they are going to make in the process. Of course the Administration and Congress are going to go along any way they can and grease the palms of their big campaign donors and keep the gravy train going. I agree, and as for “splitting up families” that we hear about? Go home and be with them in your own country!! No one told you to come here….. I am so sick of knowing what goes on and how many free benefits and jobs you are taking from Americans. You come here and then work up to a supervisory position, and hire no one but your own brothers, sisters, nieces and nephews… oh, and aunts and uncles. So much for split up families. So, why are we spending money to educate them to begin with? but soon it will not be our country anymore. 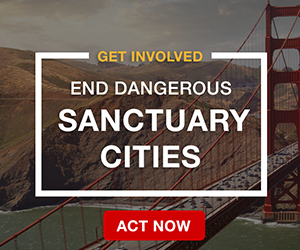 Stop this immigration bill and save our country. Here’s something that Rubio probably never thought of, when he declares we can’t “send them home”. Don’t let them come here to begin with. WHY are we using our top notch universities to educate the populace of other countries, and then they turn around and compete with us. We owe these people nothing, including an education at our universities that have been built and maintained by the citizens of THIS country. Leland, you are so right…we do NOT owe them a thing…they have already taken from us and the American citizens/taxpayers have had enough! Thank you, Leland. You’ve hit the nail on the head. Why bring these people in to begin with? Do their countries not have schools? I don’t think Washington thinks any further than “Let’s get these future voters here.” We are being replaced at all levels. And when they say, “We can’t send them home,” I want to know why not! Eisenhower had no trouble doing it and we survived and prospered as a nation. We doesn’t anyone laud the “best and brightest” right here in this country? Surely, among the millions of unemployed Amercans we have a few of those. My businesses are growing fast and I wouldn’t even consider requesting a single foreign worker visa. Not when there are so many extremely talented, native-born Americans available. I’m not interested in cheap. I’d rather have people who are creative and think on their feet, and when they perform, I’m delighted to pay! Ingenuity is driving business success in this country, and I find that Americans of all age groups are outstanding in these areas. Remember when we blocked the amnesty bills in 2006/07 and the open borders lobby warned us that if it didn’t pass, the economy would collapse? Now the stock market is at all-time highs. So much for the cheap labor theory. Windows 8 has been a huge flop. So surprise there. And Bill Gates is dictating immigration policy to the country? Even with American engineer jobs butcher axed by 150K from 2006-2010 per the BLS, and the Big Three auttomotive companies almost bankrupt; even with one hand tied behind its back [American automotive engineers drastically reduced in numbers]; the almost bankrupt Chrysler American engineers came up with an 8 speed automatic transmission. Believe me, Chevy and Ford are so jealous; they’ve teamed up what’s left of their reduced engineers to develop an 8 speed for fuel economy too. NASA has been shutdown too, lots of pink slips for American space engineers there too. You’re right, let’s hire our bright American engineers back again, not import cheap wannabes…..
Actually, software, Chrysler did not come up with the 8 speed automatic. The Germans did and it has already been used in BMWs. Germans have teamed up with Chrysler to allow them to build the engine stateside. Sorry to burst your bubble….I’m a Shelby Mustang girl. Otherwise, I totally agree with your sentiments. Good for you, Concerned Citizen. I hope your business continues to prosper and your Amercan workers do you proud. When will the majority of these wayward elected representatives in our government show their constituents, and U.S. citizens as a whole, that they actually do have an IQ above that of an oyster? STOP THIS INSANITY, SPINELESS PANDERING, & FLOODING THIS NATION WITH IMMIGRANTS THAT ARE TRULY UNNEEDED! Same logic, never allow non-tech professionals to allegate about tech degreed positions….its all generally hogwash IMO.